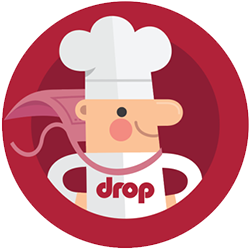 Drop is a friendly community of food enthusiasts from every corner of the world: a safe and fun place where everyone, no matter their background or skill level, can feel welcome. We like to keep it that way. Have fun; meet new friends; bake and cook like there’s no tomorrow; be your wonderful authentic self; share your knowledge; be encouraging to others; smile; and enjoy the new, connected kitchen. When reviewing a recipe or leaving a comment in the Discuss tab, remember that there is a person (you know, a real human being) who will read it — someone who&apos;s put a lot of love and effort into sharing the recipe with the community. If you don’t like it, try giving a helpful tip instead of biting criticism. No one wants to use your affiliate link for three free taxi rides, vote for you in a singing competition, or send over their bank account details so they can get access to the 1 billion dollars they miraculously inherited from an unknown relative who just passed away. There’s simply no place in the Drop community for personal attacks, profanity, aggressive rants, ALL CAPS, virtual sucker punches, or anything along those lines. If you’re into that kind of stuff, there are other internet communities that might suit you better. Using someone else’s words, recipes, or photos and passing them off as your own is just not right. Always give credit to the person who deserves it. That kind of goes without saying, huh? If you see something that doesn’t belong in the Drop community, please let us know, and we’ll take care of it immediately. You can also flag comments placed in the Discuss areas and we&apos;ll be automatically notified. We believe in second chances, but for the greater good of the community, we won’t hesitate to remove content or users that are violating these simple rules.